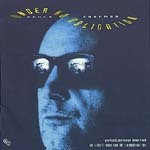 Roger Chapman's 1992 album is given its first UK release, having previously only been available in mainland Europe. Produced by the legendary Mike Vernon, this is a stylish and enjoyable album and one of Chappo's own personal favourites. This CD release features one unreleased bonus track plus a four track live CD recorded during the album's promotional tour in Germany in April 1992. Including extensive sleeve notes and song lyrics.